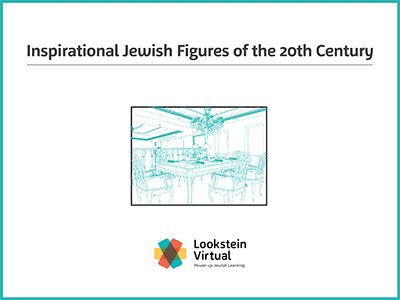 Students in this course will attend an extraordinary dinner party together with ten of the most memorable Jewish people of the 20th century, each one travelling across time and space to join them. Every guest has a fascinating story to tell and exciting life experiences to share. The guest list has nine names on it and only our students can decide who to add. At the end of the course, students will suggest a tenth guest and make the case for including him or her in our remarkable dinner. This course was created in partnership with Noar Shocher Mada Department (Gifted Education Department) at Tel Aviv University.